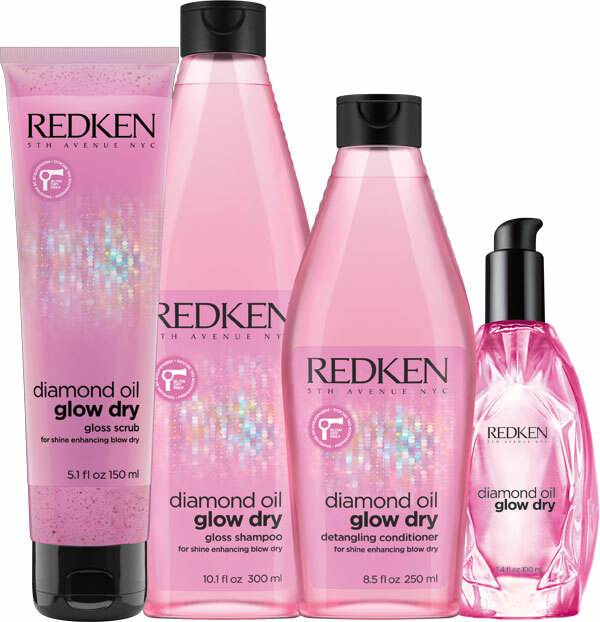 All Posts Tagged With: "#Glowdry"
This August, Redken is pleased to introduce its newest launch: the Redken Diamond Oil Glow Dry collection. The NEW! Diamond Oil Glow Dry Collection is a blow-dry-loving-oil-infused system for all hair types. A blend of lightweight formulas scrub, gloss and detangle blow-dry-addicted hair, resulting in a super shiny blowout every time. Glow Dry also works perfectly with our Pillow Proof Blow Dry range, designed to make your blow dry last longer and look great! Don’t just blow-dry, #Glowdry.